Hindsight is 20/20, and so is HOPE!!! Unless you’ve been living under a rock, I’m sure you’ve heard the old saying “Hindsight is 20/20” I think the same thing can be said about hope. Over the past week I’ve been hearing the same message about hope, but what is it? Why should we be hopeful? According to dictionary.com. 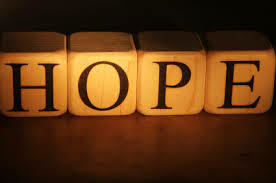 Hope is: to look forward to with desire and reasonable confidence; the feeling that what is wanted can be had or that events will turn out for the best. It takes confidence to be hopeful, confidence in yourself and your path. For me life is about balance, between past, present, and future. Between good and evil, positive and negative. Sometimes life is also about the grey areas, it’s not just Black and White. I was reading a post and came across a bible verse that I wanted to share. Before I get more into talking about being hopeful, I thought it was good to get a little context. Sometimes our understanding is clouded by wrong beliefs. 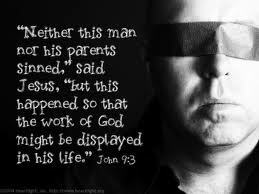 As we see from the example above, Jesus’s disciples thought the blind man was suffering because he did something wrong. As Jesus pointed out, suffering can also be a great opportunity for Love, grace, and miracles. I understand that all may not agree with the example I used, because not everyone agrees with my religious views, however please bear with me for a bit longer. Religious convictions can be some of the strongest, but even with religion we can still have wrong beliefs, and I believe that this example is one that demonstrates that point. But what does this have to do with hope? Just as Jesus’s disciples saw suffering as the result of some type of wrong doing, I believe it’s the same lie many of us tell ourselves. Life is full of good and bad, ups and downs, it can be a bit of a roller coaster. Although things happen to us, it’s not always a result of bad behavior, we’re not being somehow cosmically punished for our past mistakes. Last week I read a post from thedailylove.com that reminded me that life is also full of nuances. In her post Donna Gates asks Are you Positive or Negative? At first I was a bit taken back by her post, because she suggested that we shouldn’t use those labels. After reading further I realized that she was on to something, sometimes we limit ourselves, and holding on to labels can do that. As I mentioned above life is sometimes nuanced, bad things may happen, and it’s not always a direct result of something we’ve done. In many cases, bad things can lead to victories, triumphs, and life changing revelations. The end of a romantic relationship, could lead to us finding ourselves, and then finding someone that’s better suited for us; but first we have to release ourselves from the old way of thinking. The other important aspect of Hope is the past. If you’ve been in a similar or worse situation, it gives you confidence. 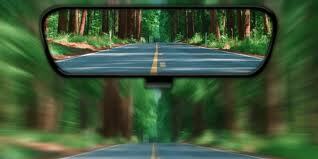 From your past experiences you gain the strength to overcome other situations in the future. As I was jogging last week, I recalled a time in my life when I wasn’t sure what would happen next. Was I going to find meaningful work, will I ever find love, will I have enough money to pay my bills? As those thoughts slowly resurfaced, I realized that although I hadn’t found that “Great Job” financially I’m much better off now, and as for love, I’m learning to love myself. There are many things I consider myself to be; a positive person, an optimist, are among those labels. I also recognize though that there are many other nuances, I’m learning not to let my EGO mislead me. To not get a false sense of confidence, to recognize that my happy moments are giving me strength for the unhappy ones. By seeing where I’ve come from, it gives me strength to endure the day ahead. While I can say that I don’t suffer from depression, I do have my moments when I feel doubt and gloom come over me. In those moments though I’m able to reflect on where I’ve been, and with the help of those who love and care for me, and my faith of course, I’m able to pick my head up again. What I’m not saying is that I live with my head in the clouds, I don’t think that Life is always about lollipops and rainbows, but that it’s nuanced; and recognizing that saves me from inner turmoil. Life is not just black and white, sometimes it’s about the grey areas also. Recognizing where your beliefs are centered is the first step. Your past experiences give you confidence for the future. Experience builds confidence, when facing a difficult situation, ask yourself what other similar situations have you faced before? Chances are you’re here now because you’ve survived past experiences. Having a positive outlook doesn’t mean that you think things are always going to work out. Sometimes some challenges aren’t meant to be overcome, they are there to show us our limits. Going through a bad experience doesn’t mean you’re being punished for something. Although there are consequences to our actions, that rule doesn’t apply to EVERYTHING. Sometimes some experiences are an opportunity for Love, Grace, Mercy, and Life Lessons. Learning to recognize the difference is an important aspect of having hope.